The Special Economic Zone Authority of Duqm (SEZAD), which oversees what promises to be the largest industrial and economic hub in the Middle East, is now part of the Joint Supplier Registration System (JSRS), Buyers Community. 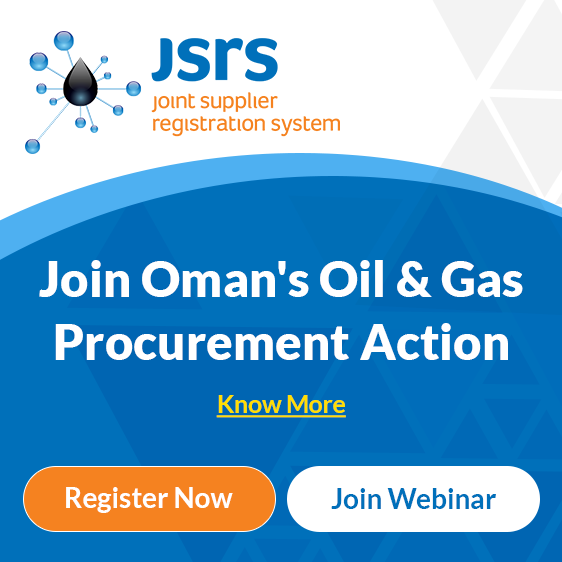 It follows the signing of a Memorandum of Understanding (MoU) between the Duqm SEZ Authority and Business Gateways International (BGI), the Muscat-based company with the mandate to operate and manage the online portal on behalf of the Ministry of Oil and Gas. Signing on behalf of the Authority was its Deputy CEO, Dr Ismail Ahmed al Balushi, while Business Gateways International was represented by its Vice Chairman, Hafidh Saif al Mahruqi. Also in attendance at the signing, which took place at SEZAD’s Muscat headquarters, were high-level executives from the two organisations. With the signing of the MoU, SEZAD becomes the first government entity outside of the Ministry of Oil and Gas (MOG) to join the JSRS —the principal procurement platform of the Sultanate’s Oil & Gas industry. As a new member of the JSRS Buyers Community, SEZAD will now begin certifying Small and Medium Enterprises (SMEs) registered on the JSRS platform. This effectively qualifies the SMEs for preferential support from contractors operating within the SEZ. Additionally, the SEZ Authority will initiate the process of migrating its database of Riyada-registered SMEs to the JSRS — a move that qualifies them for business opportunities at Duqm. This effectively creates a SEZAD certified pool of SMEs whose products and services can be availed by contractors in keeping with their government-mandated obligations to support small and medium Omani businesses. SEZAD’s entry into the JSRS Buyers Community effectively opens up a wealth of new business opportunities for certified SMEs to explore within the SEZ. SEZAD certification is a must for SMEs eager for a share of the immense opportunities emanating from Duqm’s development into a world-class SEZ. Existing JSRS-registered SMEs too have the option to seek SEZAD certification and thereby benefit from this arrangement as well.